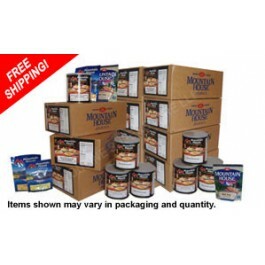 The 1-year emergency Mountain House freeze dried food supply has a shelf life of up to 25 years. This Mountain House freeze dried food kit is designed to be supplemented with other foods you have in your storage now. This 1-year Mountain House food supply is designed to give one person, one meal per day for one year. If you looking for a emergency food supply that provides two or three meals per day, please check out our 1-year Imperial Food Supply. Mountain House freeze dried food taste much better than any other freeze dried food makers. 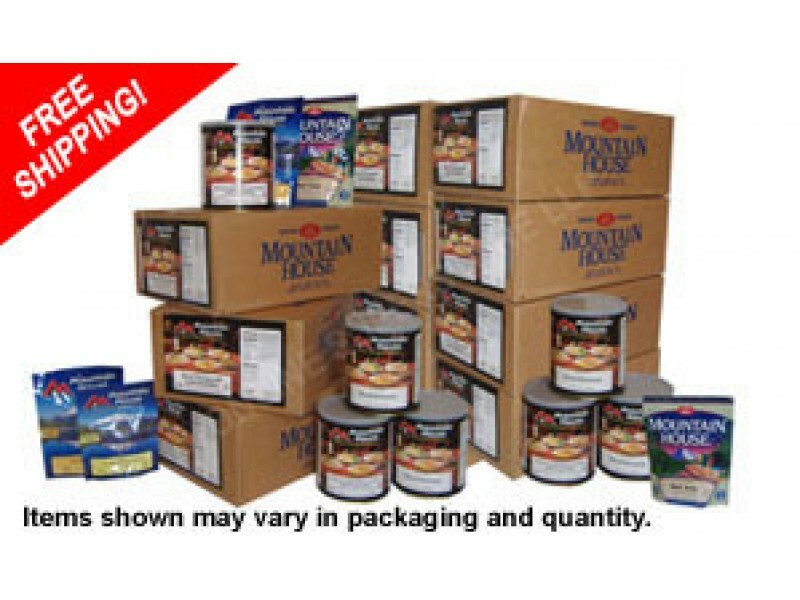 Mountain House foods are packed in airtight NITROGEN PACKED #10 cans. Mountain House freeze dried food for emergency long term food storage in #10 cans are the best you can buy for emergency food storage. Up to 98% of the residual oxygen has been removed. Planning your emergency food storage is not something you can leave to chance. Emergency preparedness is not complete without Mountain House freeze dried food in your emergency food storage. This emergency food supply has the longest shelf life available...up to 25 years! 36 ea. #10 cans that come in 6 easy to store cases. Emergency Food Storage made Easy. 3 ea. Rice & Chicken . 4 ea. Spaghetti w/Meat Sauce . 2 ea. Mexican Rice with Chicken. 2 ea. Lasagna w/Meat & Sauce . 3 ea. Beef Chili Macaroni . 2 ea. Chicken Stew .